Mitsubishi owners in and around Holmen know that one of the best auto repair facilities is Cordell’s Automotive. Our auto mechanics not only know how to fit your Mitsubishi for the best possible tires, but they are also highly experienced and trained when it comes to providing you with the very best in auto repair services. We also pride ourselves on delivering a wonderful customer-service experience that will never make you feel demeaned or left out of the loop. Cordell’s Automotive prides ourselves on transparency and integrity. 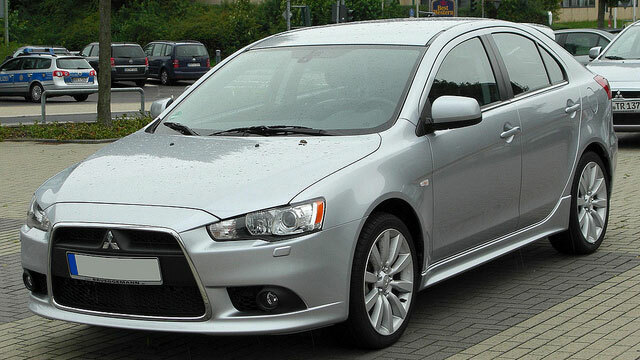 We work hard to get things right the very first time you bring your Mitsubishi in for any kind of service or repair. We are a family-owned business and that’s how we treat you: like an extended part of our family! If we wouldn’t let our own mother drive away, we certainly won’t let you either. Your safety is our number one priority. Your Mitsubishi could not be in better hands than when it’s in one of the Cordell’s Automotive bays. The auto mechanics at Cordell’s Automotive will always make things right and will go out of their way to provide you with the best customer service possible. We back our work with a 3-year/36,000 mile warranty and will always do our best to help you get to wherever you need to go even if you’re tempted to hang out in our awesome waiting room. We’d love to work on your Mitsubishi. Schedule an appointment today. Cordell’s Automotive is located at 300 South Holmen Drive, Holmen, WI, 54636. Our hours are 7:00 AM - 5:30 PM, Monday - Friday. We also service the communities of La Crosse, Onalaska, and Trempealeau.